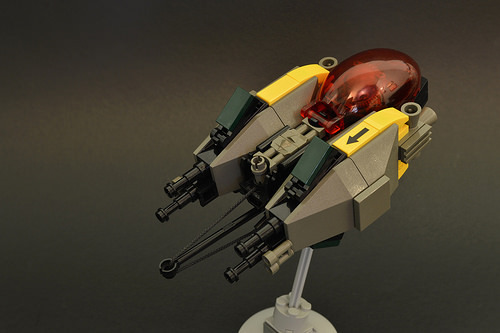 The second kinda-annual Small Starfighter Contest is in full swing, and a week in we’re already seeing some strong contestants. My favorite entry thus far is the R7 Senex by Nate Rehm-Daly. Compact, with just the right mix of greebs and armor, all wrapped in a fantastic color scheme.